Pranayam Aromatherapy sprays and salts are made with essential oils (never synthetic fragrances) and lots of love. Sprays are in a base of distilled water. Salts are in a base of magnesium sulfate (that's epsom salt to you and me). 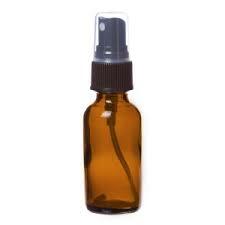 I offer sprays in 2 oz. and 4 oz. sizes. Salts are available in half pint jars. My current aromatherapy blends are listed below. I will be adding more as the seasons change and the mood strikes, so check back often! Want to purchase Pranayam Aromatherapy products for yourself and the people you love? Visit my Etsy sales page and place your order! Essential oils of balsam fir needle, sage, and Texas cedarwood. A woody blend that is especially useful for clearing energy. Essential oils of Eucalyptus, Rosemary, and Peppermint. A refreshing blend that encourages conscious breath and stimulates memory. Essential oils of Chamomile, Clary Sage, and Peppermint. Need to relax and get your focus back? This blend can help! Essential oils of Lemongrass and Patchouli. A lovely blend that reminds you to slow down and savor the moment! Essential oils of Cypress, Juniper, and Rosemary. This warm and cozy blend is grounding and stabilizing. Essential oils of Bergamot and Grapefruit. An uplifting blend! Use it to clear negative energy and promote a positive environment. Essential oils of Jasmine Absolute and Ylang Ylang. An exotic blend that stimulates the senses and awakens the imagination. See a blend you want to try?